With all the attention concentrated on the Narendra Modi-led NDA government's first anniversary, India is not paying much attention to events in its neighbourhood. But what is happening in Sri Lanka is utterly fascinating. With the abolition of the executive presidency on April 29, 2015, the coalition government in Sri Lanka headed by President Maithripala Sirisena has managed to keep most of the governance reform promises it had made when it came to power in January 2015. However, the government failed to meet one deadline: Parliamentary elections in April. Since the prime minister and the council of ministers that will take most governance and administrative decisions in the future will be elected from among Members of Parliament, the timing of a general election and who wins it is critical. Contradictory interests in the coalition are preventing the announcement of dates for elections. When presidential elections were called two years ahead of schedule by previous president Mahinda Rajapaksa, Sirisena was a high-ranking member of the then ruling Sri Lanka Freedom Party (SLFP). He defected and became a common candidate of one section of the SLFP and the opposition United National Party (UNP) led by Ranil Wickermasinghe. In a bizarre twist in politics, the Opposition was in government - and the government was in Opposition! It was an unnatural alliance of interests propelled together for just one reason: the defeat of Mahinda Rajapaksa. In partial recognition of this fact, rather than announcing an ideological program, the SLFP-UNP alliance restricted themselves to a 100-day plan of reform which would end with abolition of the presidency, the government turning itself into a caretaker administration and the announcement of Parliamentary elections. This was much like the UPA in its first phase when they drew up a common minimum programme in 2004 to tie up with the Left - only to keep the BJP out. 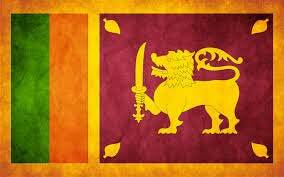 In Sri Lanka, this entailed amendment of the constitution. After extended consultations the 225-member Parliament cleared the bill that reduced the terms of President and Parliament from six years to five years; re-introduced a two-term cap on individuals seeking to become President; diluted the power of the President to dissolve Parliament from the present one year to four and a half years; revived a Constitutional Council that would set up independent commissions to guard the autonomy of institutions like the police. The dilution in the powers of the president makes the prime minister the effective head of government. The party that has a majority in Parliament can instal its prime minister in the new system of governance Sri Lanka has adopted. This has led to a clash between coalition partners SLFP and UNP on the scheduling of elections as each tries to evaluate the timing that gives it maximum advantage. The additional problem is accommodating those elements in the SLFP that are loyal to Mahinda Rajapaksa and are viewed with deep distrust by the Sirisena government. Last week four ministers loyal to Rajapaksa resigned from the government. It is too early to say whether this will create a crisis for Sirisena. The election delay, though, has cast a shadow on other governance issues. Soon after coming to power, the Sirisena government had suspended China's largest investment in the South Asian country, a commercial and residential port project in the capital Colombo. The project was part of China's efforts to implement its "one belt, one road" strategy for increasing trade and influence in Southeast and Central Asian countries, as well as in Africa and Europe. With the first phase costing around $1.5 billion, and the second estimated to at $13 bn, it was to be China's largest investment project in Sri Lanka and the biggest ever by a foreign company in the country. China is watching political developments in Sri Lanka closely to see if the project can be revived. Private sector companies in China that would have bid for contracts have put a decision to invest in Sri Lanka on hold. Similarly, India has high stakes in the politics of Sri Lanka where it has to protect its political capital – the Tamils. However, in the current climate of confusion, India is staying aloof from even tacitly endorsing one or other political group it would like to see in power. While there is no deadline for holding parliamentary election (the current Parliament’s term ends in 2016), the consensus is that while UNP would like an election as soon as possible, the SLFP would like to push it back so that it can stay in power. Residual loyalists of Mahinda Rajapaksa are anxious to expose the government through a parliamentary election. Despite the charge that the Sirisena government is engaged in cronyism and corruption to make the most of the transition, there is little likelihood of parliamentary elections taking place before September, 2015. In the interim, the 20th Constitutional amendment, putting in place electoral reform to usher in a new hybrid version of a prime minister-led presidential republic will have to be passed. With a small elite base and its preoccupation with constitutionalism, Sri Lanka is so obsessed with how it governs itself that what it delivers to those it governs is sometimes forgotten.